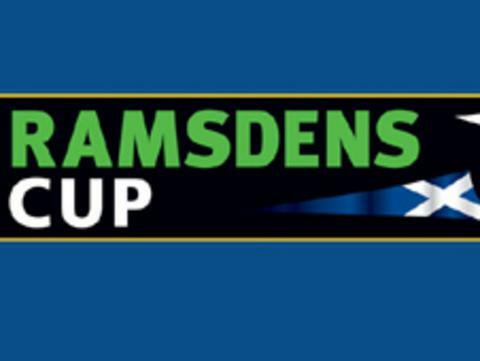 Partick Thistle edged past Stenhousemuir to reach the second round of the Ramsdens Challenge Cup. David Rowson opened the scoring for Thistle in the 20th minute with a right-footed drive from 25 yards. Stenny's Paul McHale struck the bar from long range before Thomas Stewart fired the hosts' second on 82 minutes. Stewart Kean pulled one back for the visitors four minutes later with a close-range effort but it proved only to be a consolation. Partick: Fox, Paton, Balatoni, Kinniburgh, Sinclair, Stewart, Rowson, Bannigan, Flannigan, Doolan (Grehan 89), Erskine (Campbell 75). Subs Not Used: Scully, Lindsay, Burns. Goals: Rowson 20, Stewart 82. Stenhousemuir: McCluskey, Lyle, McMillan, Corrigan, McKinlay, McHale (Dickson 90), Ferguson (Iain Thomson 70), Rodgers (Plenderleith 75), Paton, Murray, Kean. Subs Not Used: Brown, Quinn. Booked: McKinlay, Lyle.